Today i slept in a bit, which was wonderful. I feel like I have not been able to catch up on sleep since I started my trip due to the early mornings. I had a lazy morning at the hotel editing photos, writing my blog, and making breakfast (more eggs, ham, and cheese on toast). I left the hotel at 10:00am and boarded the train into the Central Business District (CBD). When I arrived at Southern Cross Station in the CBD I put my large backpack in a locker for the day for $12. I walked around the lanes and arcades, as well as looked at more historic buildings. I was starting to get hungry at about 1:00pm so I went in search of a place where I could find some Kangaroo to eat. 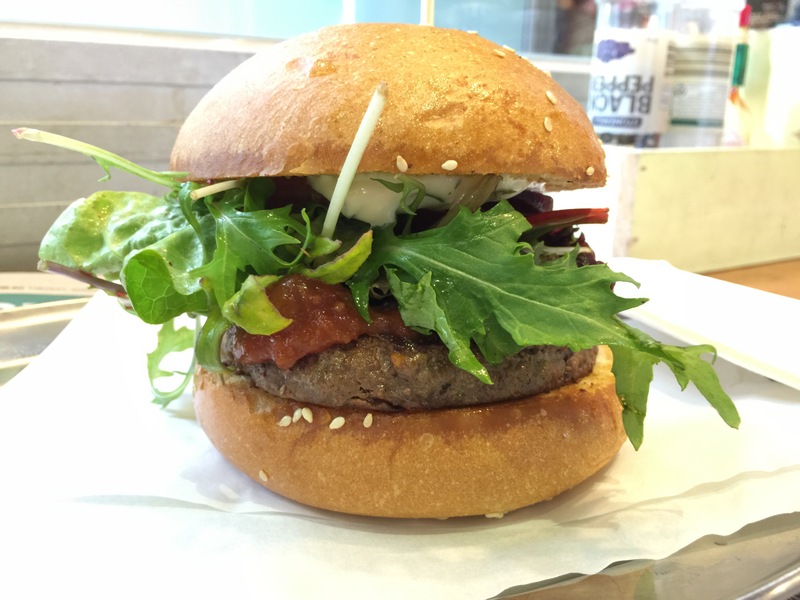 I found a Burger cafe that served a Kangaroo Outback burger. The burger was absolutely delicious, albeit pricey. $15 only gets you a burger without fries. After I finished my burger I travelled north by tram to a park, which had a beautiful small conservatory, and some old buildings. I then travelled East, through the cricket stadium area, to the Royal Botanical Gardens, which are world renowned. There is a lot of art, and memorials dedicated to the men who served in the wars. After that I walked through an artsy University area, and an area called South Bank (I think) before heading back to Southern Cross Station. I had two pints of beer and some noodles for dinner before going to get my bag from the locker. After getting my bag from the locker I boarded a double decker express airport bus to the airport. The bus driver, who looked like he was about 16, was the most herky jerky driver I’ve ever experienced in my life. I was actually quite sick to my stomach by the time I got to the airport. When I got to the airport I was given the good news that I could check my bag for free, which I ended up doing. The only downside is that I have to wait for my bag in Darwin after disembarking the plane. My phone battery was dead so I sat down next to someone and plugged my phone into the wall next to her. She was laughing hysterically at a video she was watching so I asked her what she was watching. She said “Orange is the New Black”. We kept on talking television shows, politics etc., and then a bunch of other people joined in the conversation too, so it really helped to pass the time. It was about an hour before the flight now so I cleared security, which was the least busy security I’ve ever seen at an equivalent sized airport. I sat down near the gate and continued talking with the people. It was time to board the airplane to Darwin at 9:00pm. I was handed a census form when boarding them airplane and was told it would be a $180/day (maximum of $1800) fine if I didn’t fill it out, and there would be census staff on the other end to collect the papers. I was told if I did not fill it out and was caught leaving the country without filling it out then I was subject to the $1800 fine. They seemed fairly strict, so I obliged and filled it out. It is a requirement to do the census even if you’re not an Australian citizen and just visiting the country. The JetStar flight to Darwin was cramped but smooth. On arrival in Darwin I got my checked bag from the baggage carousel, and boarded an airport shuttle bus that delivered me right to the doorsteps of my hotel, called the Poinciana Inn. My room key was waiting for me an a safe in the wall, which I was given the key code for via email earlier on. Off to get about three hours of sleep before my outback adventures! You may not hear from me for a few days due to the fact I probably won’t have service, but I know I will have service in three days. Check back regularly for the next installment of my great Australian adventure.